The Gas Lamp is located in a sort of industrial park area of Issaquah, almost as if it had anticipated the now familiar settings for craft microbreweries. 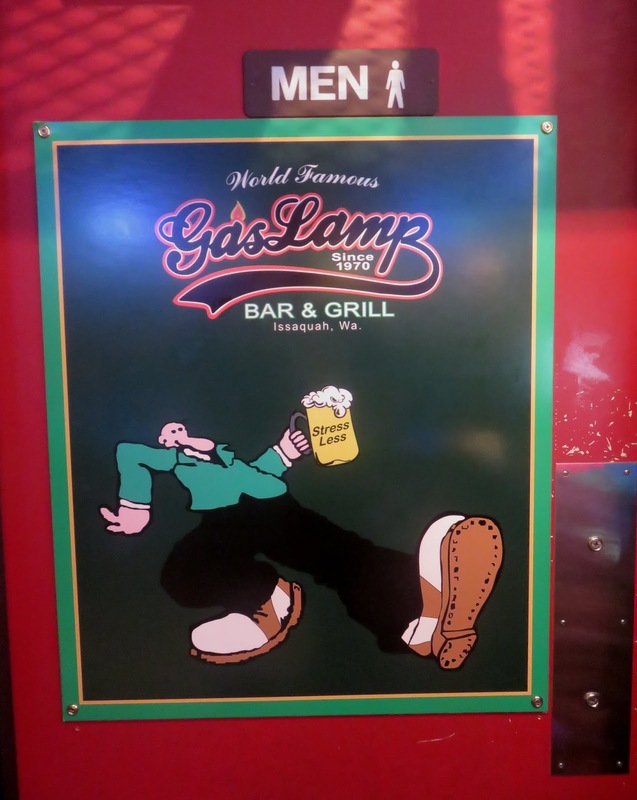 It is a neighborhood place, and like most neighborhood places these days, it is a sports bar, although I don't know how long it has had that theme -- it was established in 1970 (note the Robert Crumb logo still used today) and has several vestiges of a mid-century auto and gas station theme. 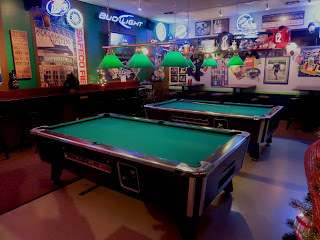 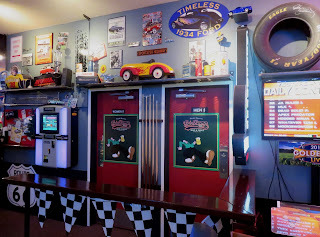 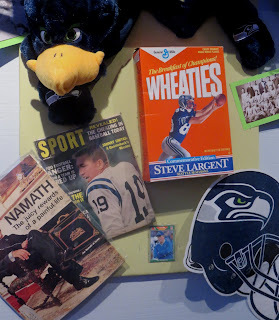 Today it is a fairly typical suburban sports bar, but the paraphernalia show personal touches accrued over years, which makes a place much more inviting than so many places that seem like they could have purchased their entire decor from the sports store in the mall a week ago. 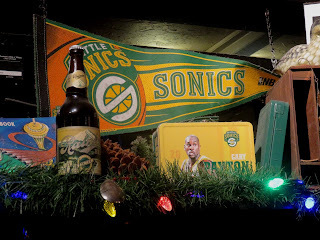 They have a fairly typical contemporary neighborhood sports bar menu, with 14 pretty good beers on tap, burgers, sandwiches, salads, and classic American breakfast options.